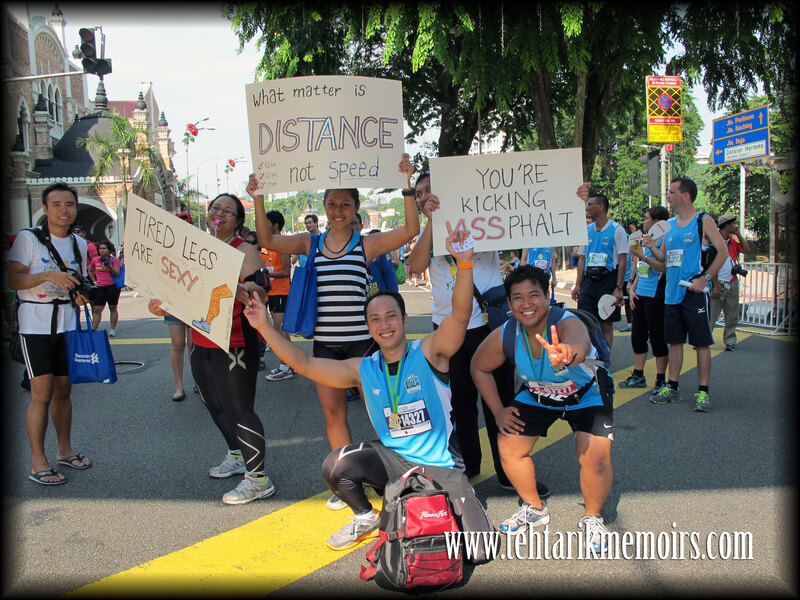 I have to admit that despite the many runs I have participated so far this year, this one came around with so many things happening in the run, which basically translate to the number of pictures that I have included for this post! Since that this was going to be just a warm up run for me, I was going to take it easy for the run itself and focus on practising my running form for next week's half marathon in Gold Coast. 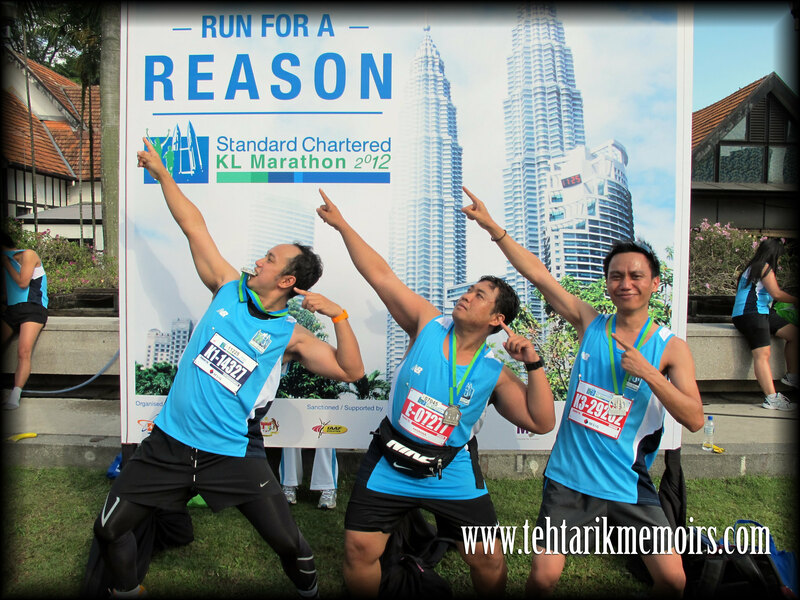 It was a lot of firsts for Team TehTarikRunner for this round. For me this was the first time I am running with new gears that I recently bought to prepare for the cold Aussie weather. With some advises from many runners out there, I got myself a pair of compression pants and top which I was going to try out for this run. Ash in the mean time was not running with me this round. 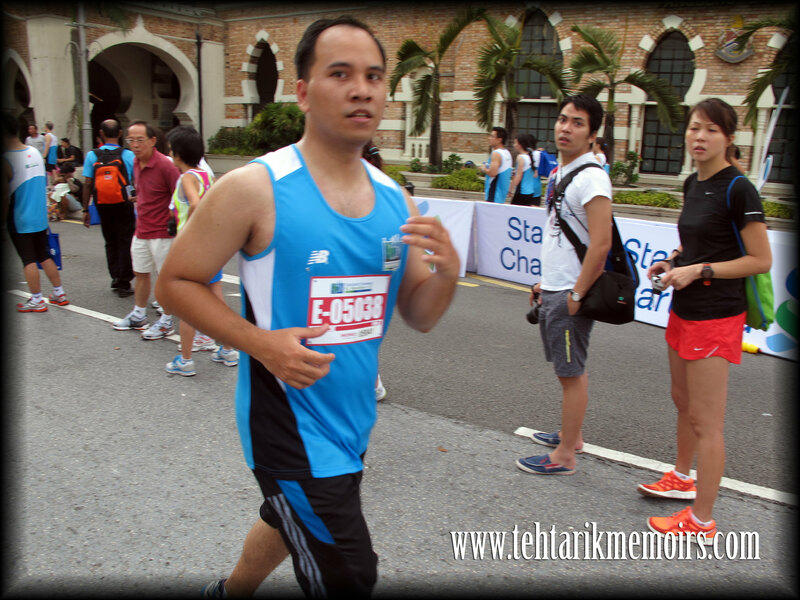 This was going to be his maiden 21km Half Marathon run and he was a nervous wreck coming into the competition. Lacking the proper practice coming into this competition, there was a lot to worry about. Still, he came here with a mission and that was to finish this race within 3 hours. As we were starting the race, there were some worry because at around 5am that morning, it started to pour around the trail which made the track very difficult for the runners. Fortunately for me the rain stopped right before the 6.30am mark for me to start my 10km Speed category, unfortunately for the full marathon runners they had to brave through the rain. 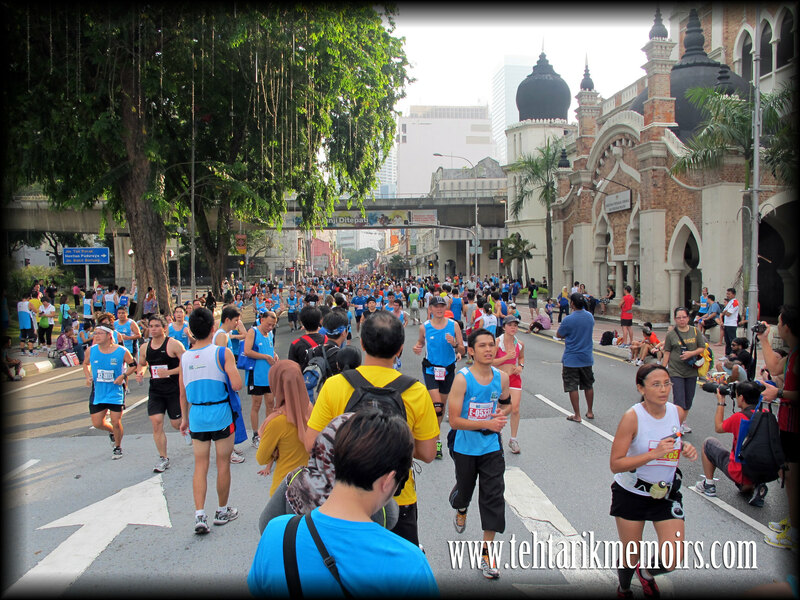 At kilometre 1, everything went through smoothly, climbing up the highway leading towards KL Sentral. Only thing I found annoying was not just the number of people running but some people stopped running not more than 300 meters from the start! Honestly this is the reason why they broke the category into three so the competitive runners get a clear track to run in. 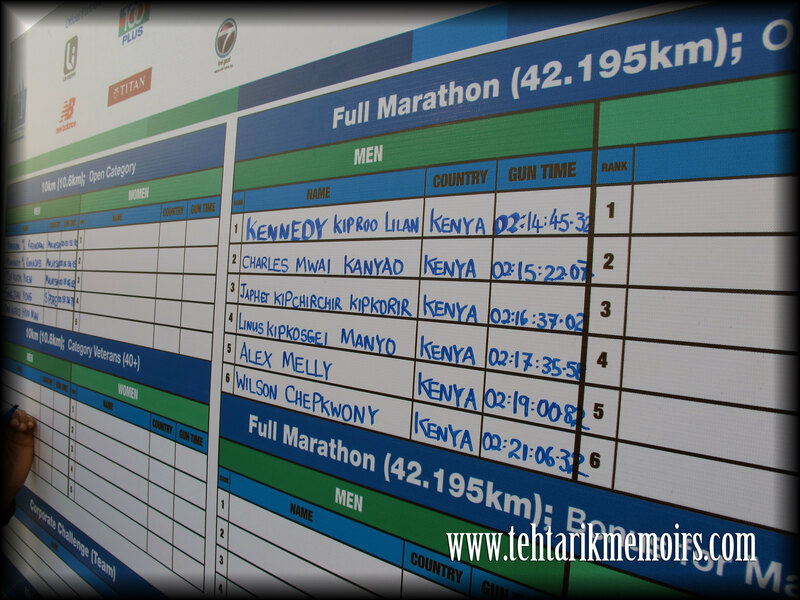 Kilometre 3, I was pacing very very well to be honest. Despite me trying to take it easy for the run, Endomondo was telling me that my lap times are even faster than the ones I clocked in Borneo. Immediately I pulled in a "9gag not bad face" while running. 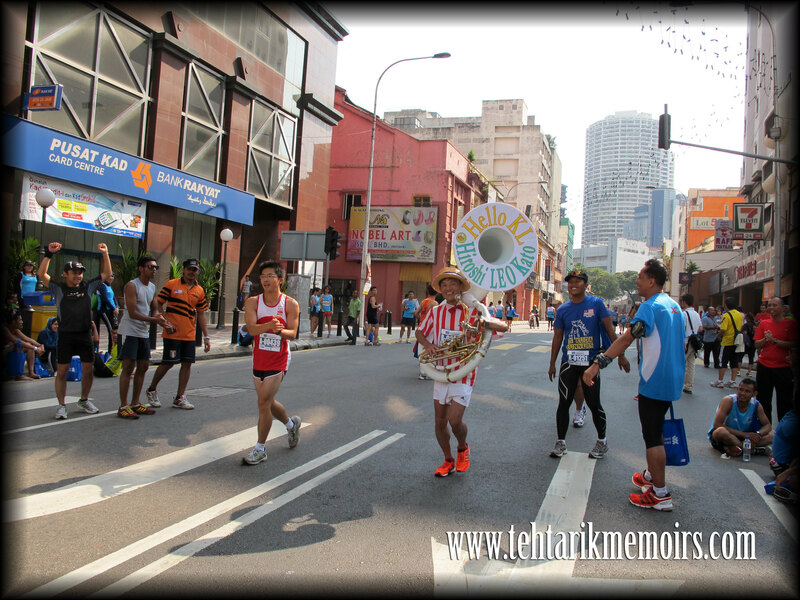 Kilometre 5, we hit our first watering station in front of KL Sentral. 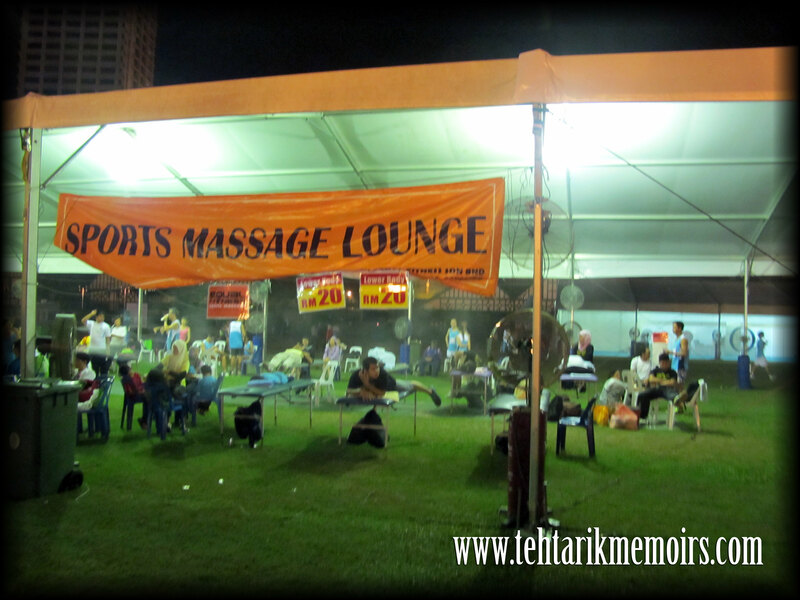 Again the organisers did this perfectly as there were ample isotonic drinks for everyone without having to stop too long for drinks. By here I was starting to feel the heat of the weather. All I thought to myself that I should enjoy this. Next week is going to be a whole different ball game. Kilometre 7, we were passing through the side road of Lake Garden which was an inclined road towards the National Monument. Most people slowed down here while I kicked in my small step strategy that I used for Brooks. Worked like a charm. 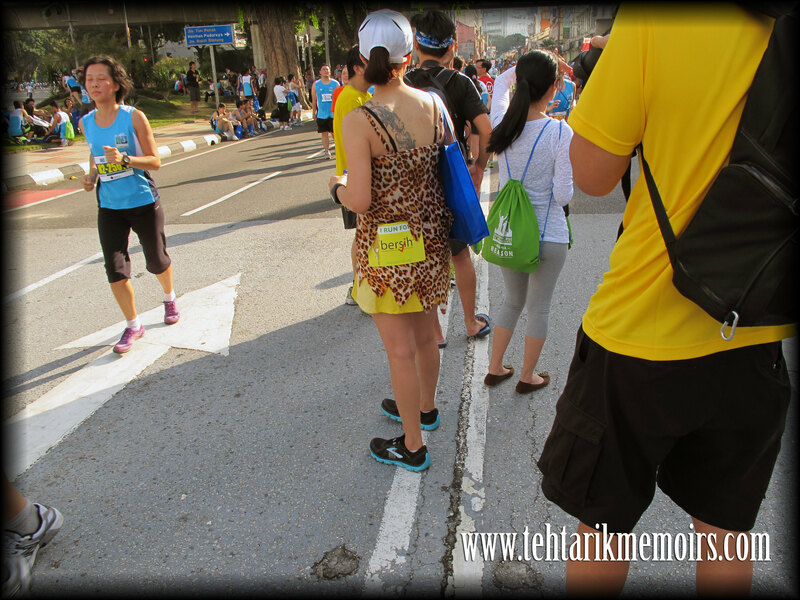 Kilometre 9, we were passing the round bend in Jalan Raja Laut and was heading straight to the finish line. Endomondo was screaming that I already finished 10km at this point which slowed my pace down a lot. Luckily I had a bunch of supporters really screaming their lungs out to push forward. And that was it! 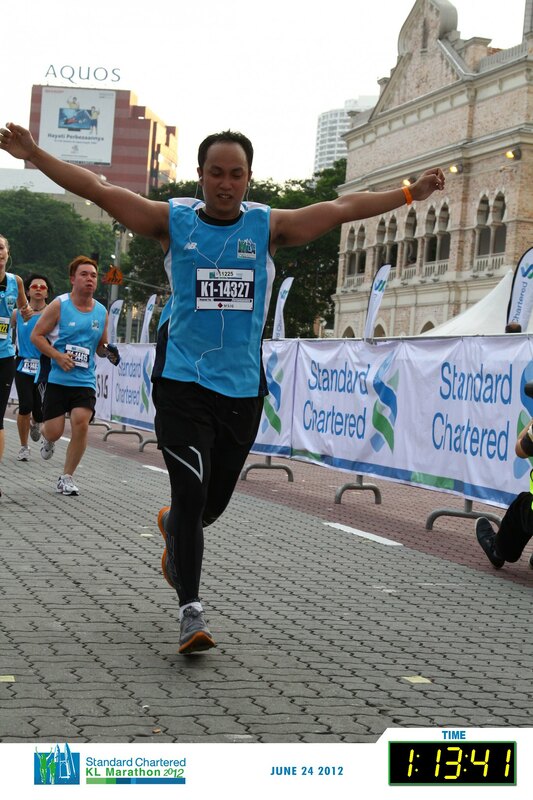 Finished the race at a slow pace of 1:13:42! Once my run was complete, my job was not done yet. I knew I had friends running out there and Ash was still on course to finish his Half Marathon in time. Even saw Ms Road Runner completing the run, who was the face of this whole competition! So I got my camera and went on my cheerleading/papparazi mode. 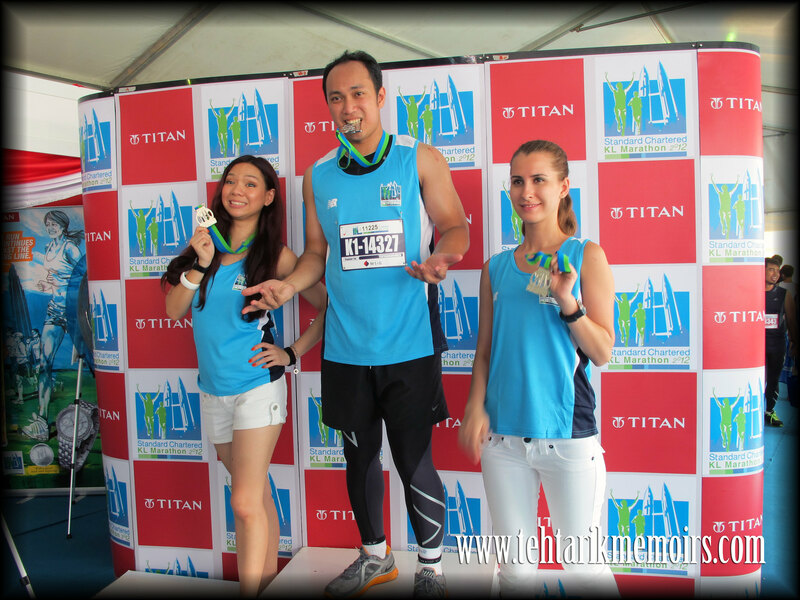 One of the most awesome thing that I saw during the event is that a lot of couples took the opportunity to enjoy the event and run together as a pair. So many of them were either running together, or were cheered on by their partners, even one couple got themselves hitched after the race! 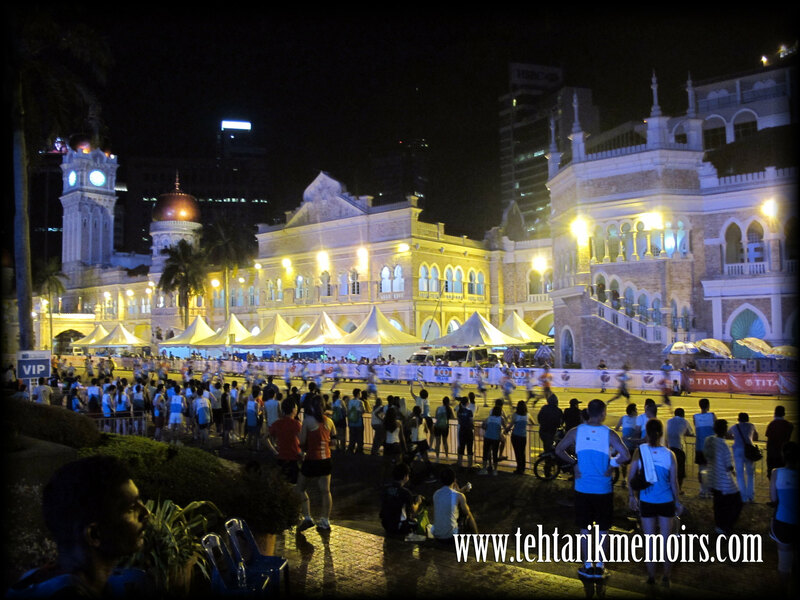 It was an energetic mood that was going around the Dataran Merdeka ground as more and more runners from every category came flowing in fast into the ground. However it is the unsung heroes that should be given credit during this race. Throughout the run, I was pushed on by supporters who were tireless cheering and screaming at the runner to keep going and I have to admit that there are those that really did help me push that last kilometre. Thanks so much guys! There is however one complaint that I have with the event, and its not about its organisation. 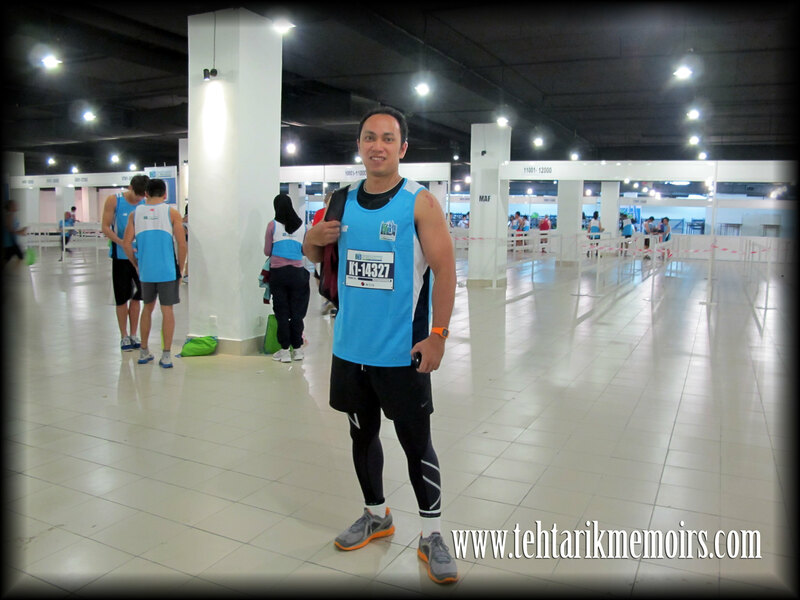 Running is suppose to be an event where we enjoy the sport and in the same time challenge ourselves with the course. Its suppose to be taken in a jovial light and should not be influenced by anything that can change that, especially on politics. Personally, I respect each person's political opinion but there is a time and place for you to voice out your opinions and it shouldn't be in a running event like this. There are some individuals that took advantage of this event and used it as a centre stage to promote their own political ideas. Its a running event guys, lets keep it that way. 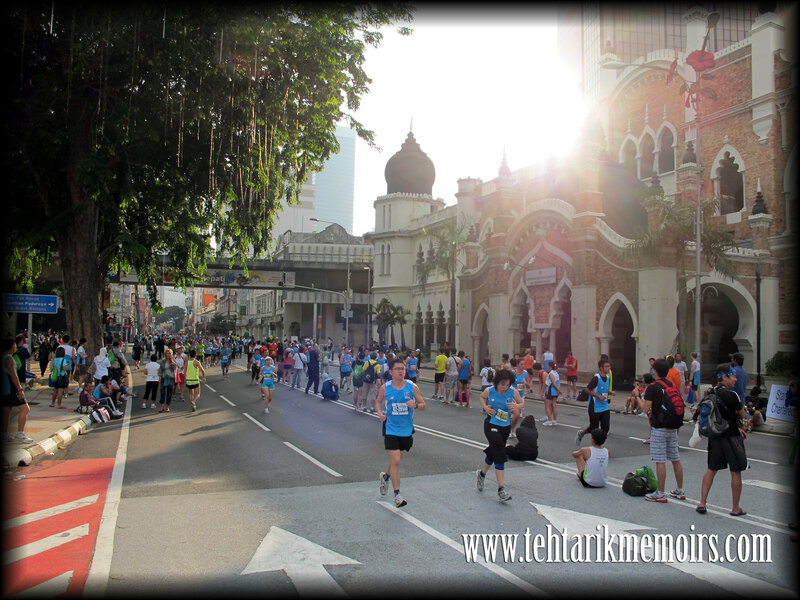 Complains and comments aside, I had a huge blast running the KL course and the best part of all, this completed my 10km set for the top 3 runs in Malaysia under IAAF (other two being Borneo and Penang). Regardless of my timing, I couldn't have asked any better warm up run than this and now I am looking forward to the next one. And how did Ash do for his half marathon? Completed at 2:49:04. I now have a time to beat next week. ONWARDS TO GOLD COAST MARATHON NEXT WEEK! Good luck in Gold Coast. Many Malaysians there. Have fun bro! 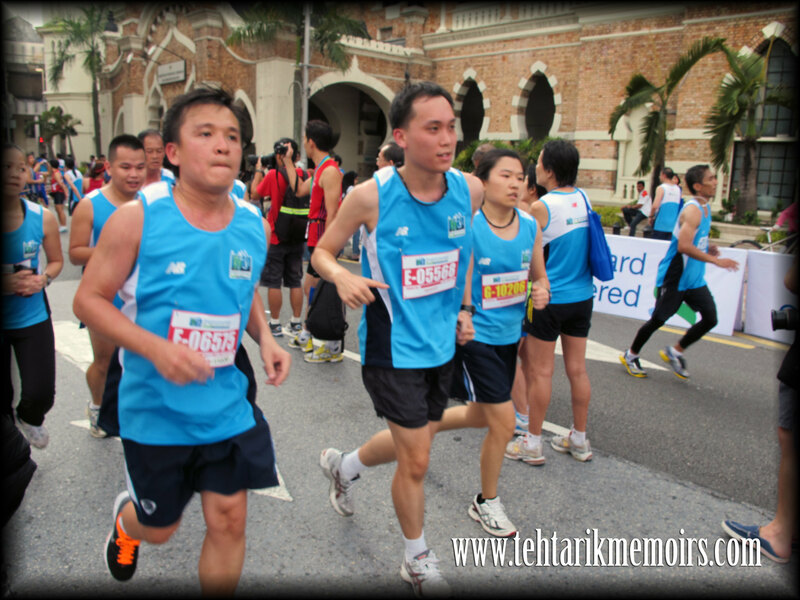 I was there too, participating in the 10 km run. 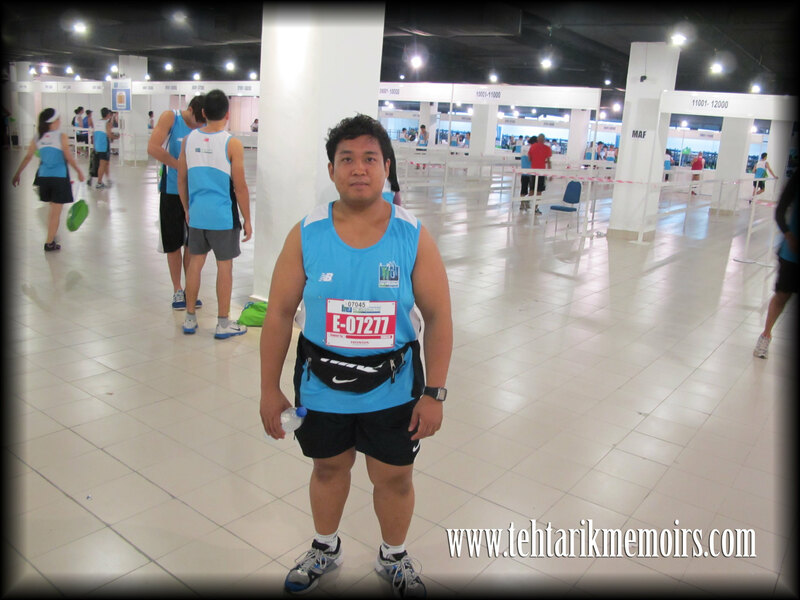 my first SCKLM run. I only started running last year. how's yr gold coast HM? jom la lari2 balik bro! thanks so much bro. like they always say, forget about the time, just get your foot at the finish line! thanks so much and I look forward to reading more about your runs as well! I saw the couple wearing the baju melayu and kebaya, I got to figure out a costume as well!